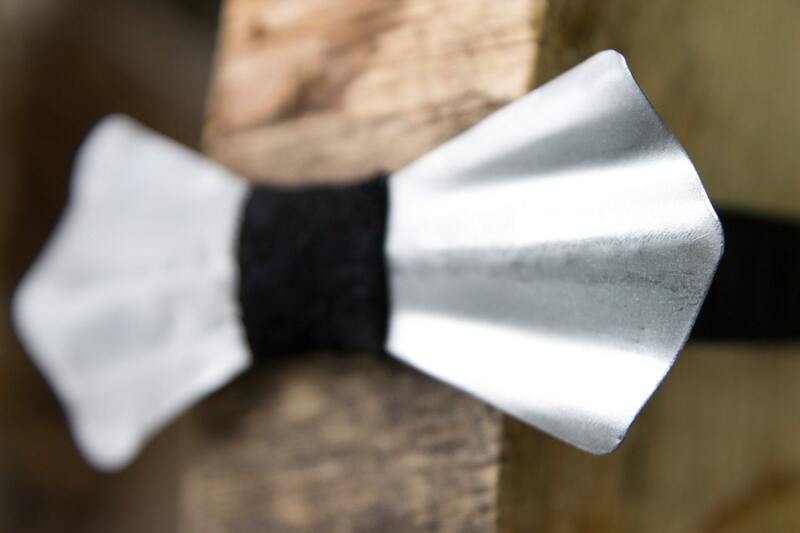 Metal Bow Ties are next step in the Wooden Bow Tie Trend. These are STAND OUT pieces that are truly unique. 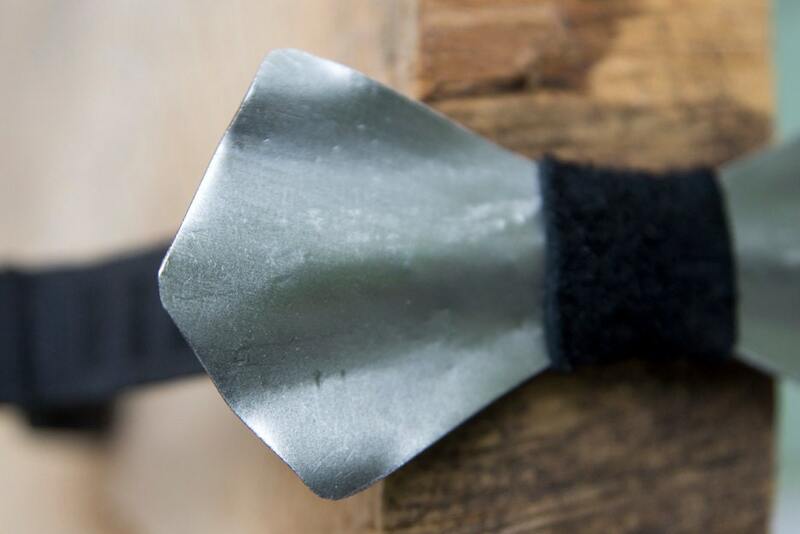 This Bow Tie has a hand brushed finish on the metal which becomes a permanent part of this bow tie's style. 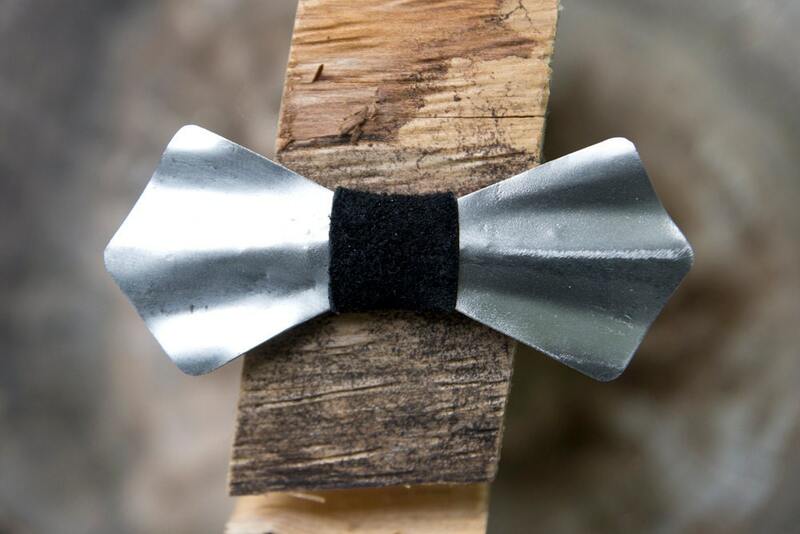 This bow tie is handmade in Steel by a local blacksmith. We then take the bow tie and add a complementary black leather knot accent, and an easy to adjust elastic strap. After that it's ready to be packaged up and mailed straight to YOU!